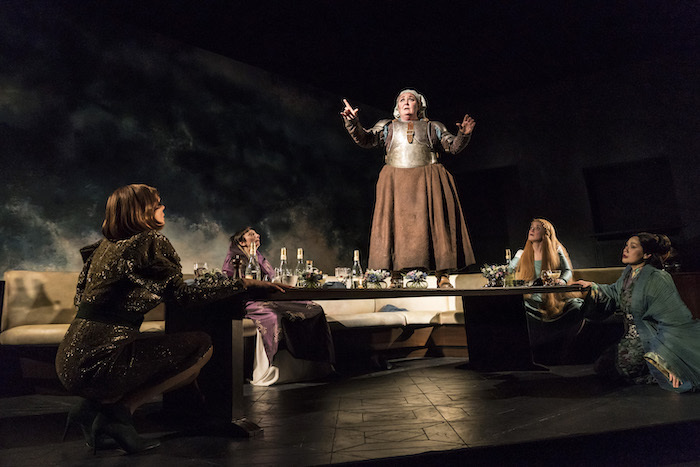 Caryl Churchill’s ground-breaking 1982 work comes to the National for the first time – and, also a first, with a full cast rather than actors doubling up, as the playwright had originally intended. It adds to the expansive feel of Lyndsey Turner’s production, particularly effective in the play’s still audacious opening. This entry was posted in Journalism, Theatre and tagged 80s, broadwayworld, caryl churchill, feminism, london, national theatre, play, review, thatcher, theatre, top girls, women. Bookmark the permalink.